Peter Carson is a partner in the Finance & Bankruptcy Practice Group in the firm's San Francisco office. Peter's practice is focused on representing U.S. and foreign banks, commercial finance lenders, debt funds, and other institutional lenders. Peter represents these clients in all aspects of complex secured and unsecured debt financings, including acquisition, senior syndicated, asset-based, mezzanine, second lien, bridge, debtor-in possession, credit enhancement, private placement, leveraged lease and other financings, recapitalizations, and restructurings across a range of industries, such as healthcare, technology, retail, transportation and distribution, media and telecommunications, ski resorts, sport franchises, food and beverage, agriculture, and forest products. 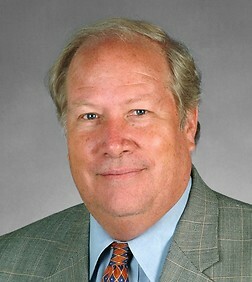 In addition, Peter devotes a substantial portion of his practice to representing buyers, sellers and private equity deal sponsors in various types of merger and acquisition transactions (including mergers involving nonprofits) and to advising institutional lenders, private equity and company clients on Uniform Commercial Code and other commercial law issues. Leading Lawyer in Banking and Finance (California), Chambers USA, 2007-2018; "Peter Carson is well known for his formidable finance practice, which is routinely employed by domestic and international lenders in a series of transactions."